I’ve lived a thousand different lives in my imagination. Every novel, story, movie, etc. I read, hear, or see, generates a new life. Some are short, some last months – even years; alas, they do seem to end at the beginning of another. After all life is short and there are so many lives to live – how can you choose just one? Chugging along. Am told by my publisher that my book is available in bookstores throughout the Valley – Booyah! 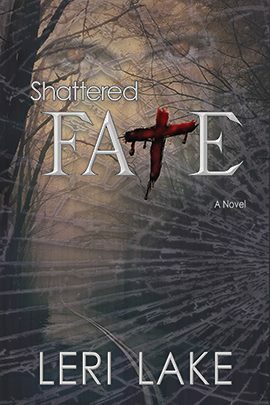 This week (Jan 13-17) Shattered Fate is available to download on Kindle for free; hopefully to incite stars and reviews from readers on Amazon.com – come on readers, need stars and reviews, hopefully good reviews and lots of stars! Have been looking into getting an agent – unfortunately hit by the same misgivings as before – go figure, even with my book published, I am nervous about approaching agents for help; completely ridiculous! Note to self – torch thy gluteus and get going! Vampirism is such an open subject, because of its fabricated nature, interpretation of the world is open to… well, interpretation. Through a myriad of resources I’ve cultivated ideas; fairy tales, myths, other authors, and even my own reasoning to build up a whole new society that is evolving into what I think is simply amazing. If you agree, if you disagree, it matters not, for it is my world, my creation, and I must say that I truly like what it’s evolving into. I have to admit though, that it is really cool that people like what is in my head. — -.– .-. .. .- -..
Life is semi-normal again. Finally I can get back to writing. Although more book signings are in the future. Return emails are slow in coming. Next step is phone calls – it takes research and time to look up numbers and people though, everyone wants emails – probably because they’re easier to ignore. So many people, not just buying books, but buying multiple copies!!! What support, thanks for your faith and trust in a product based on knowing me alone. You guys are awesome. Books are available online on Amazon, the sales are doing so well that my publisher is having a hard time getting copies for the book signings. Mail orders have priority over wholesale products… that means copies are being sold faster than they can print (not that they print an abundance for an unknown author). That’s my publisher’s theory anyway, sounds good to me so I’ll use it. Whether that is what is truly happening or not, my publisher, Rook Publishing, informed me that the more books that are ordered online, the more they print and the better it looks to book vendors. So please, it’s better all around for you to order them online, not only will you receive the copy faster, the more book sellers will want them on their shelves. Sounds suspiciously like politics to me – Jeesh, can’t get away from it!!! I’ve lived a thousand different lives in my imagination. Every novel, story, movie, etc. I read, hear, or see, generates a new life. Some are short, some last months - even years; alas, they do seem to end at the beginning of another. After all life is short and there are so many lives to live – how can you choose just one?